A Service at 9:00 AM with a traditional order of worship. Sterling UMC’s worship experience each Sunday is an opportunity for each of us to come to know God better and find hope and help for our daily lives. It is exciting and encouraging to be part of a group of people seeking to live out their faith together. Pastor Steve Vineyard preaches the sermon for the 9:00 AM Traditional service and the 11:00 AM Contemporary worship service, and Pastora Marcela Jarman preaches for the 10:00 AM Servicio en Español, but we also enjoy other speakers from time to time. Nursery (0- 2 years old) is available at all services. Our 9:00 AM service has a traditional order of worship, with weekly participation by the church’s choirs and hymn singing from the United Methodist Hymnal and its supplement, “The Faith We Sing.” Communion is served on the first Sunday of the month. This service includes time for fellowship and prayer. This service runs in parallel with our Children’s Worship. 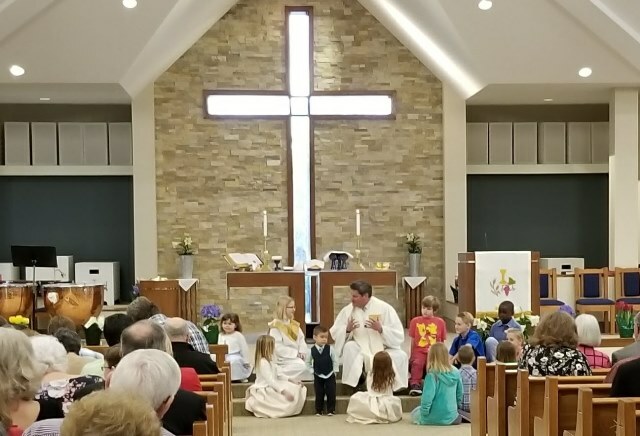 The Children’s worship experience begins in the sanctuary with the Children’s Moment. Following the Children’s Moment, the kids are excused to move to a pre-Sunday School activity in the Gallihugh Hall fellowship hall. This service time is designed for school-age children and older but no one will be turned away. Older children are welcomed as a means to create a mentoring environment. En este servicio se utiliza el idioma español para compartir la alabanza y la adoración a Dios con nuestra congregación y la comunidad que habla español. La música es una mezcla contemporánea latina/hispana. Compartimos testimonios, oramos, animamos unos a otros, y escuchamos a la enseñanza de la Biblia a medida que crecemos en nuestra fe y la amistad entre nosotros. Rev. Marcela Jarman es nuestra pastora asociada y por lo general predica. Growing Deeper at Ten is an opportunity for fellowship, discipleship, and service for all ages taking place in our 10 AM hour. Click here to read more. 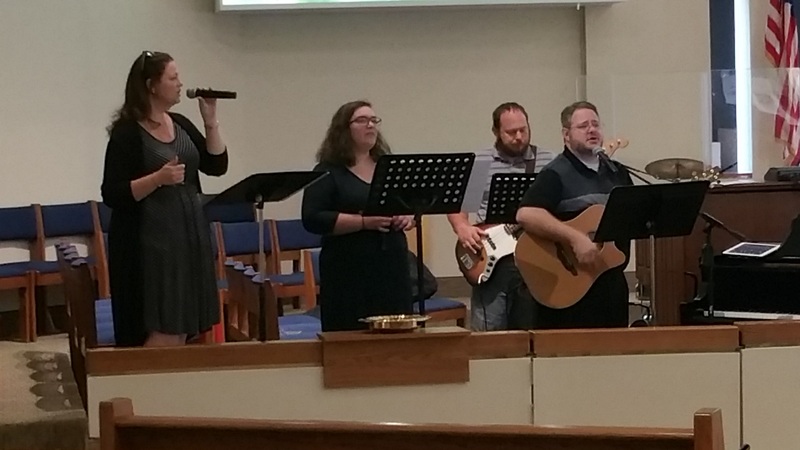 At our Contemporary Service, you will find SUMC’s Contemporary Worship Team using guitars, keyboards, drums and other instruments to lead the congregation in singing contemporary Christian worship songs in praise and worship of God. If you’re looking for a high-energy, active worship service, this is the one for you!